Wollaton Hall has been the permanent home of Nottingham Natural History Museum since 1926. Behind the museum’s cases and dioramas there lies a rich past and a labyrinth of corridors and rooms that speak of Wollaton’s hidden history. 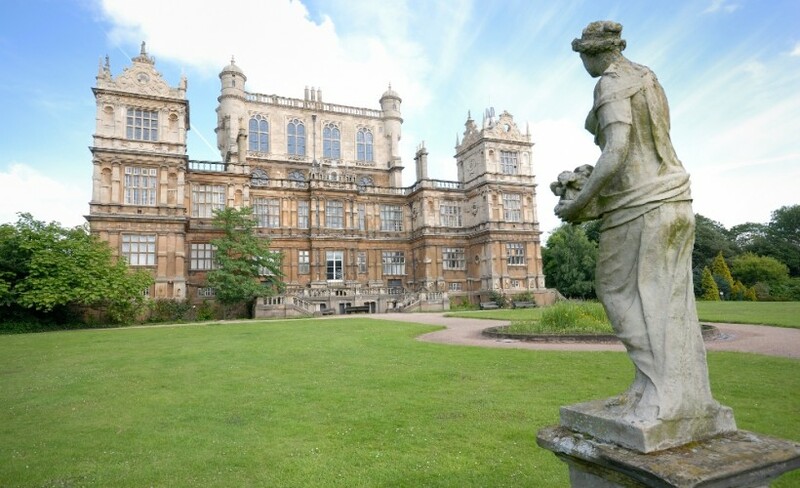 Join an hour tour of Wollaton Hall and hear how the Willoughby family built this Elizabethan mansion and explore private areas of this stunning architectural building, the second of its style in Britain. Climb nearly 100 steps to the grand Prospect Room and ‘walk the leads’ to enjoy rooftop views. Descend through the servants’ steps to the Tudor Kitchens, the wine cellar and Admiral’s Bath, dug out in a cave beneath the hall. This tour involves over 300 steps and is unfortunately not suitable for those with limited mobility.